And another thing, we can run from one relationship to the next, but until we stop and fully examine our own selves and understand that most of the issues we are faced with are coming from within us, and those on the outside are simply there reflecting everything that’s happening within us back to us, we will keep facing the same situations over and over again. Just think about it, how many times have you quit on some relationship with someone, be it work, love, etc., only to find yourself in a very similar situation with other people involved. It would seem that everything should have changed, but until you learn the lessons involved, until you fully examine where the problem is coming from, and what is causing this to keep happening the issue simply won’t go away, and so won’t your KARMA, so you will keep being faced over and over again with the same challenge, same people, or different people, but the same situation. So the only way to change your life (i.e. your karma as many of us understand it to be) is to learn from your previous “mistakes – which aren’t mistakes but incredible experiences”, understand where everything is coming from and most importantly STOP BLAMING THE OTHER PERSON! We are so used to blaming everyone around us, it makes us feel good for 5 seconds max, and then we still have to face our own selves and learn to our horror that mostly it’s coming from US. Because if it wasn’t, then the situation wouldn’t bother us at all! Remember by BLAMING another for your troubles you’re GIVING AWAY YOUR POWER! Because you believe that someone else holds the keys to YOUR LIFE. That simply is NOT SO! I’ll give you an example, say you’re meeting with your family and there’s someone who is very annoying to you, yet to other family members the same person seems like a gem. You go there and you simply cannot understand why is everyone head over heels in love with this guy, when you clearly see that he’s has such and such traits that should make him be disliked. The point to realize here is that YOU believe that his traits are negative, and his traits are bothering YOU because of something that’s happening inside of you. It’s the same thing as saying the glass is half empty, full, and what not. 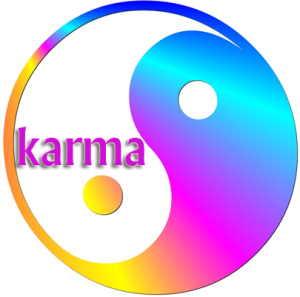 My whole point here is that you cannot remove another person’s KARMA/EXPERIENCE you are the only one that can do that. So stop waiting for someone else to step in and experience your life for you, because believe me there are plenty of souls that WISH to be in your place, and I mean it as I see it happening daily! They cannot wait to get into your body and live your life for you, but that means that you would need to give up prime real-estate that YOU have been fighting long and hard to get into. You don’t remember this, but before you were born you literally had to make hundreds of thousands of contracts with various souls in order to experience the journey you’re on now, and on top of that you actually had at least a hundred others who wanted to be in your place and yet YOU managed to “fight” your way through every obstacle of your birth in order to get here. So now that you’re here ENJOY IT TO THE FULLEST!!!! And if you don’t like the way your life is going CHANGE IT! YOU CAN DO IT! YOU ARE THE MASTER OF YOUR LIFE!